Because these pork chops are cooked quickly, they’re tender and juicy – not to mention flavorful !! I just love Louisiana. I love New Orleans, I love the bayous, I love the cities and the small towns, I love the people, I love the music, I love the atmosphere & I love the food. I’ve visited there three times and I can’t wait to go back again!! During our 2nd visit to Louisiana we visited Bayou Teche. As per usual, I had a great conversation with a woman behind the counter of a small store. She told me how to make Alligator Sauce Piquant – for which we Northerners can substitute chicken. (I actually made it (with chicken) when we lived in Malta for Mardi Gras – and it came out pretty darn good, if I say so myself !) I’ll post that recipe another time ! 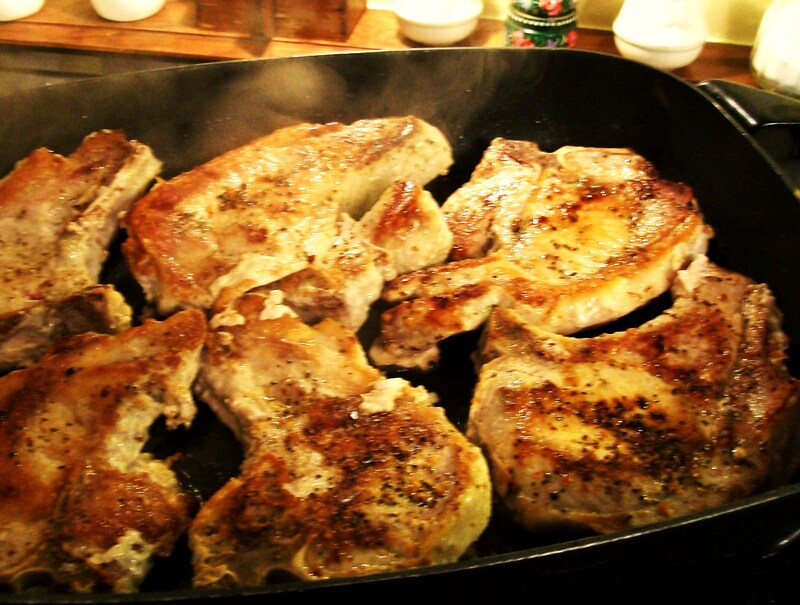 Today – it’s Savory Cajun Pork Chops! 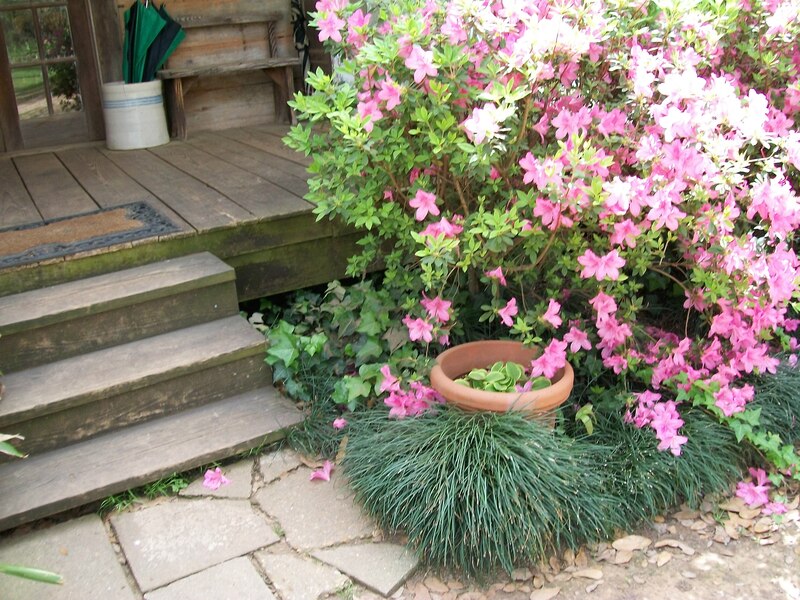 Photo taken on my third to Louisiana – I’m addicted to everything Cajun! 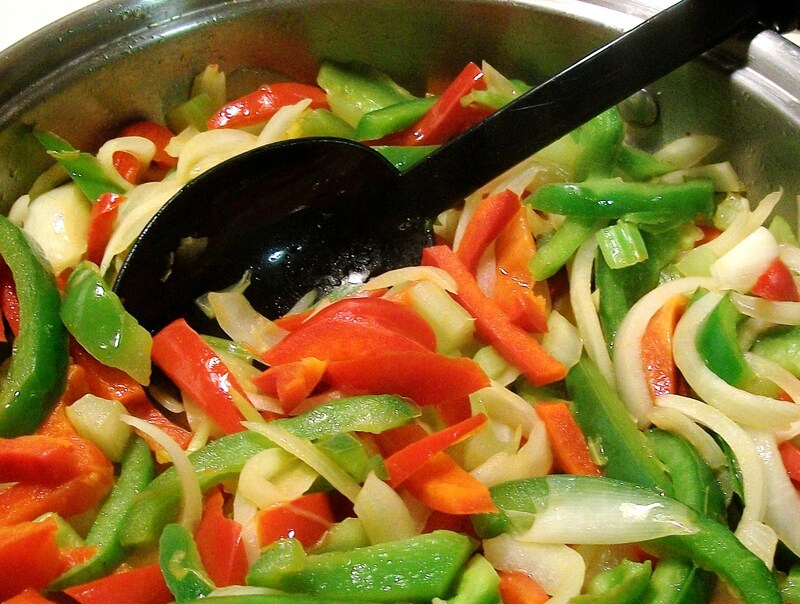 Many Cajun/Creole dishes start with the Holy Trinity, which is bell peppers, onions and celery. 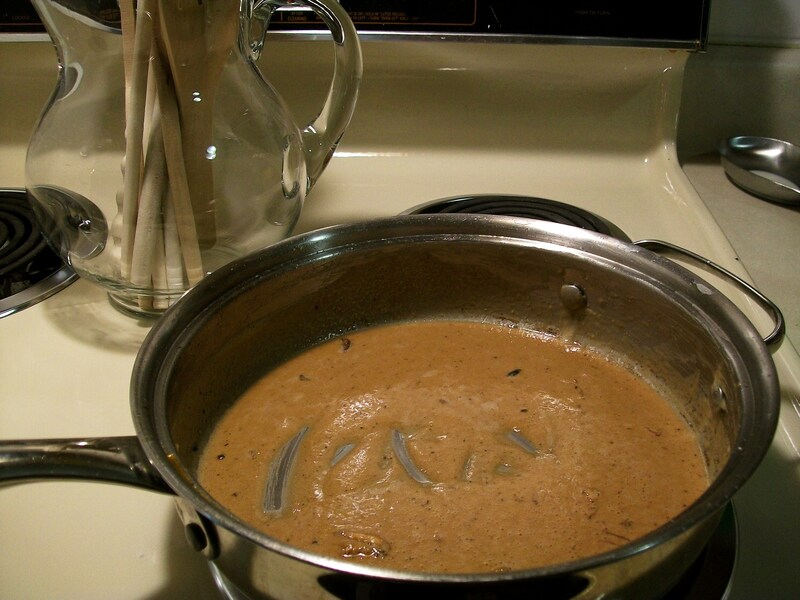 Also many Cajun/Creole dishes ask you to make a roux, which is simply oil (or butter) and flour which you cook, stirring, until the mixture resembles the color of peanut butter – or darker. The woman in the store along Bayou Teche advised me to make roux with butter. She said, “It’s always better with butter” – and she knew what she was talking about ’cause this time I used butter, butter and only butter – and I never had my roux come out even close to how it came out this time! +++ This recipe for Savory Cajun Pork Chops serves 4 – 6, depending upon the size of the chops – and your appetite. +++ I only add 1/4 tsp. of cayenne pepper because not everyone likes their food spicy. But be sure to add more if you want that real Cajun Kick ! 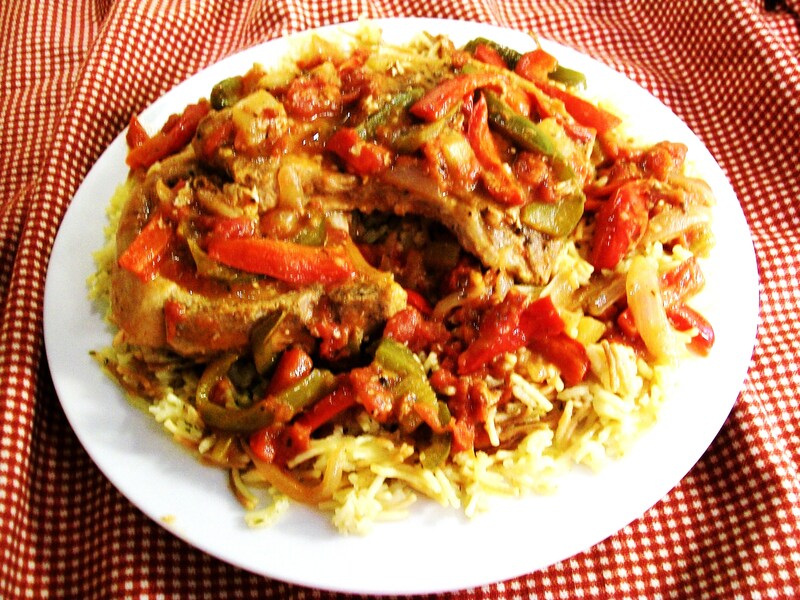 +++ Just as a suggestion – I served the Savory Cajun Pork Chops on a bed of Chicken Flavored Rice-a-Roni. You’ll probably want to make two boxes for 4 – 6 people. ++ IF YOU USE BONE-IN PORK CHOPS ! Unless you have a very large skillet, you might need a Dutch oven or a stock pot (extra large saucepan) to complete the recipe. Sprinkle both sides of the six pork chops with some Montreal Steak Seasoning. Over medium-high heat, fry chops in a few tablespoons of olive or vegetable oil until browned on one side. Turn over and brown on the other side. Remove chops to plate/platter and keep warm if possible. Add a bit more oil to the skillet, then add your Holy Trinity veggies & the minced garlic. Cook only until Crisp Tender – you don’t want mushy veggies. Once veggies are crisp tender, remove from skillet and set aside. ++ Tip Have both the 5 Tbs. of flour and the 28 ounce can of stewed tomatoes opened ready to go. Lower the heat a bit. In the same skillet, melt 4 Tb. butter and allow to brown a teeny, tiny bit. Add 5 Tbs. flour. Cook, stirring, until the mixture becomes a lovely shade of brown. ++ This might take a few minutes, but, all of a sudden – it starts to turn brown! Once your roux is browned and beautiful – add 28 oz. 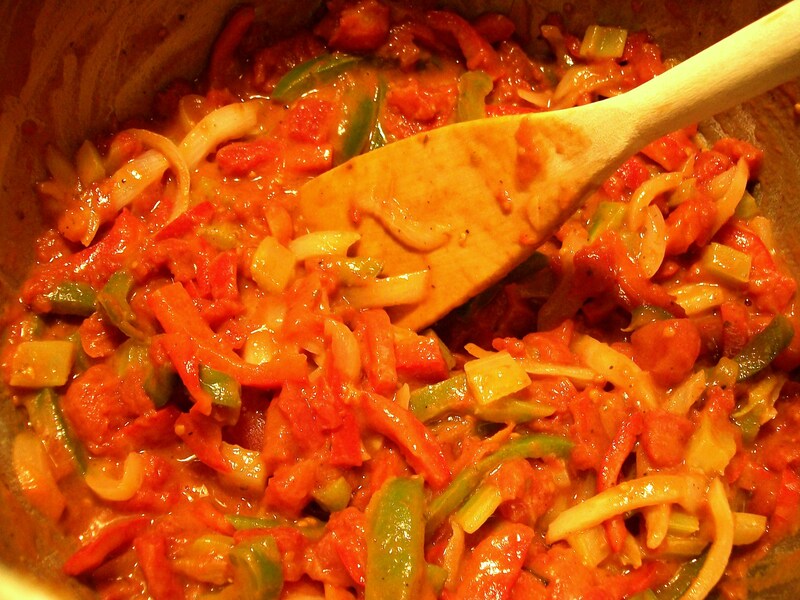 can of stewed tomatoes, 1 tsp. Worcestershire sauce, 1/4+ cayenne pepper, 1/2 tsp. pepper and 1 tsp. salt. Reintroduce the veggies. Mix everything together and allow to simmer, stirring occasionally, until bubbly and slightly thickened. If you don’t have a really large skillet, at this point you may have to pour out your veggies/tomato/spices mixture into a large stockpot or Dutch oven because you’re going to now add the six cooked pork chops. Continue to simmer 1 – 2 minutes until everything is heated through. ++ Don’t overcook the pork chops, because it can make them tough. Enjoy !! Previous Post Just a Chat – And a Promise ! Yum, that looks delicious! I can go for a big plate of this. Great post Cecile. Thank you so much Anne. The compliment means a lot coming from you !! Hi John! So glad you like the recipe!! I hadn’t made it in years… The original uses pork loin but I think the bone-in chops have so much more flavor. I think you’ll want to “kick it up a notch” by putting in more cayenne etc – please let me know how you like it and any addtions changes you made!! I really like the sound of this dish, Cecile. Between the vegetables and spices, these chops must be packed with some great flavors and I’m always on the lookout for new ways to prepare them.. Served over rice, as you did here, and it’s a great meal. I’m pinning this one cuz I’m definitely going to make it one night. Thanks!